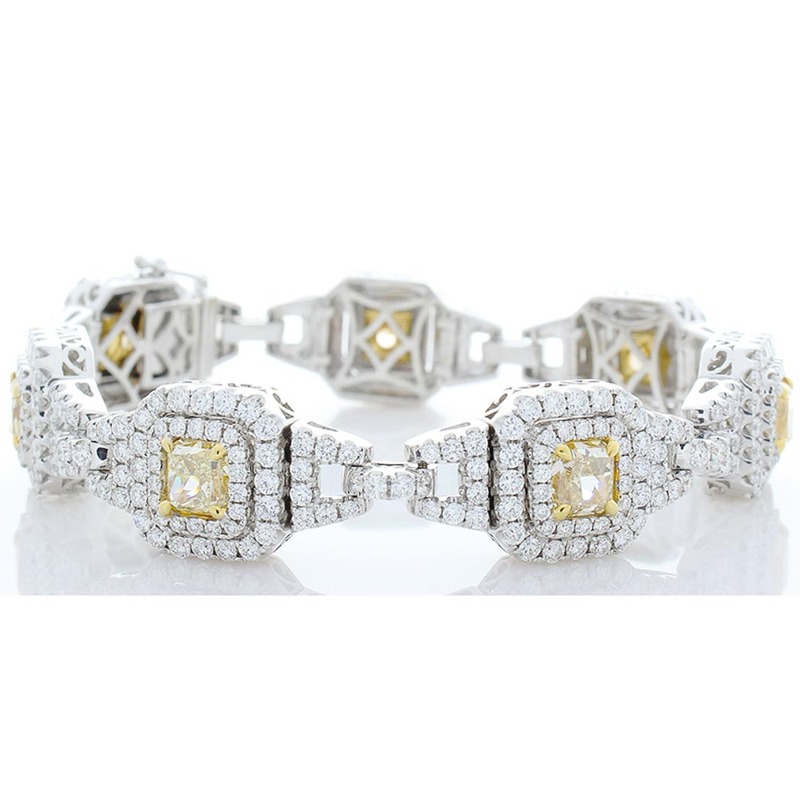 This Art Deco style bracelet exudes color and scintillation showcasing 7 cushion cut natural fancy yellow to fancy intense yellow diamonds totaling 7.73 carats with VS1-VS2 clarity. These fancy yellow diamond centers are framed by 7.11 carats of melee round brilliant cut diamonds with a color range of G-H and clarity of VS1-SI1, with an impressive 406 diamonds total. The hidden box clasp closes this lavish vintage inspired bracelet, finished with a figure eight safety all in brightly polished 18 K white gold. This entire bracelet is certified by EGLUSA.